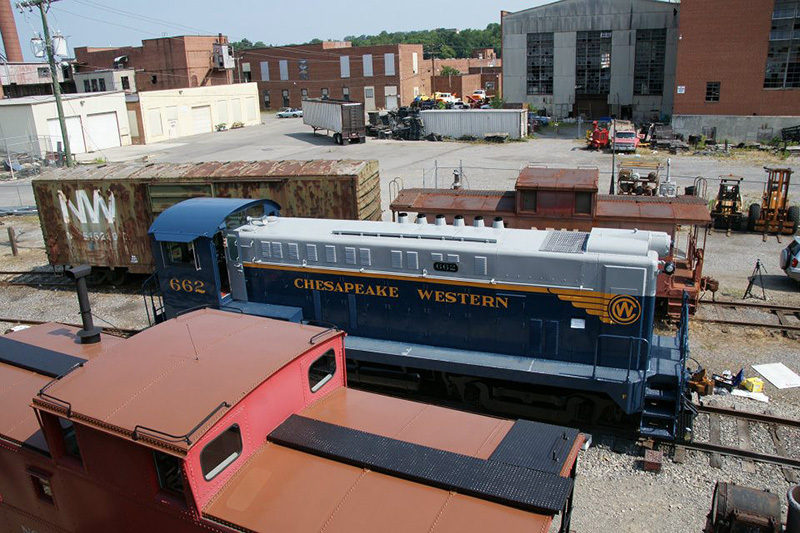 UPDATE July 2012: The cosmetic restoration of Chesapeake Western no. 662 has been completed by the Roanoke Chapter, NRHS, and the locomotive is now on display at the Virginia Museum of Transportation. 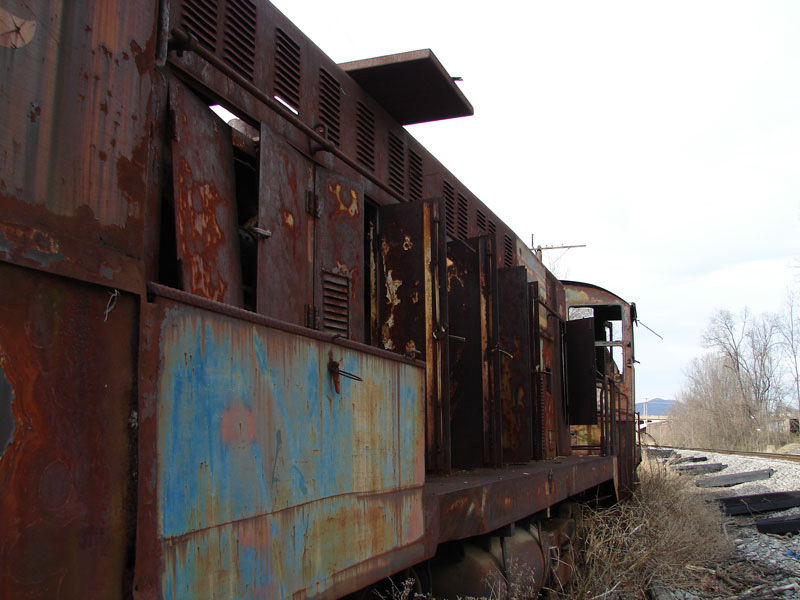 UPDATE August 2009: The last pieces of rolling stock in the former Virginia Scrap Iron & Metal yard, Chesapeake Western diesels 662 and 663 were removed on August 28, 2009 and delivered to the 9th Street yard of the Roanoke Chapter, NRHS where both will be cosmetically restored. 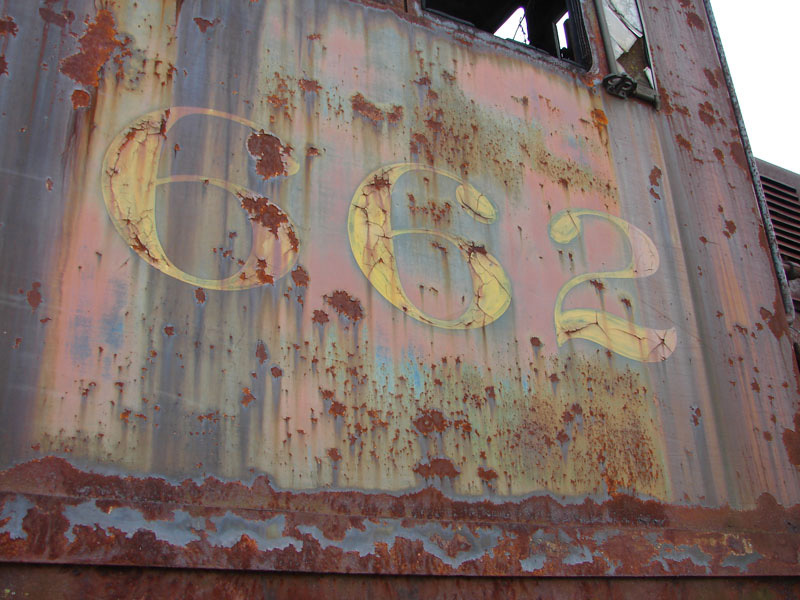 Following restoration, 663 will remain with the Roanoke Chapter, while 662 will go to the Virginia Museum of Transportation for display. 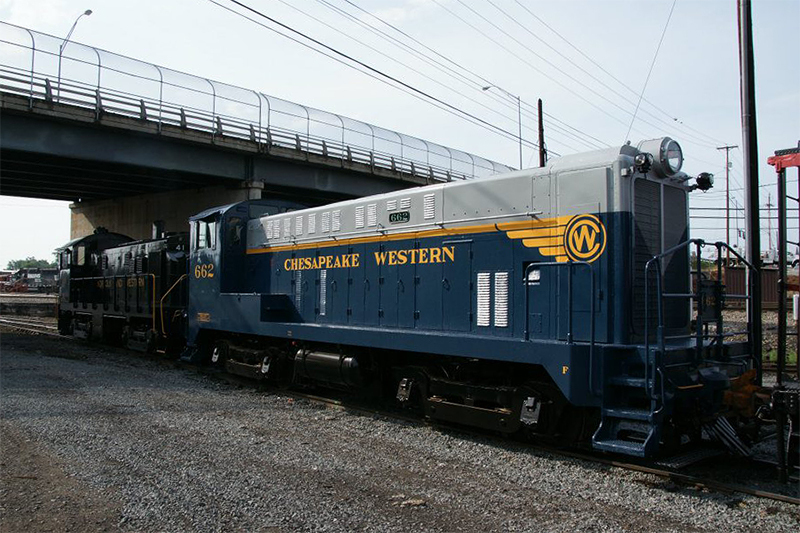 Chesapeake Western nos. 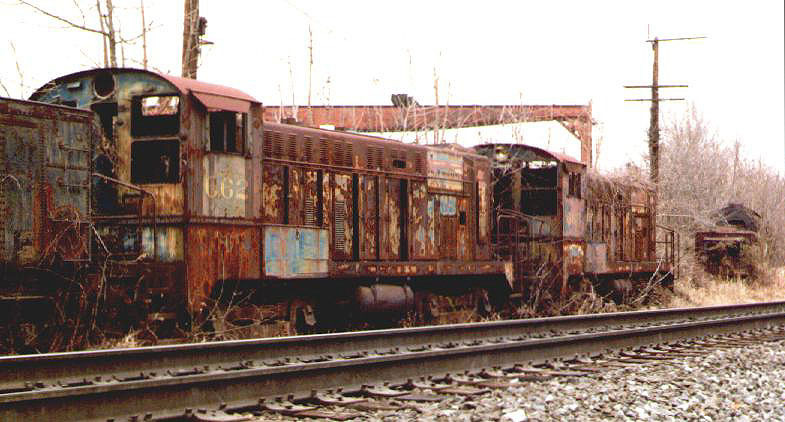 662 and 663 are 1946-vintage Baldwin diesel switchers of the DS-4-4-600 type, and were among the first diesel locomotives ordered by this western Virginia shortline (along with scrapped sister engine no. 661). 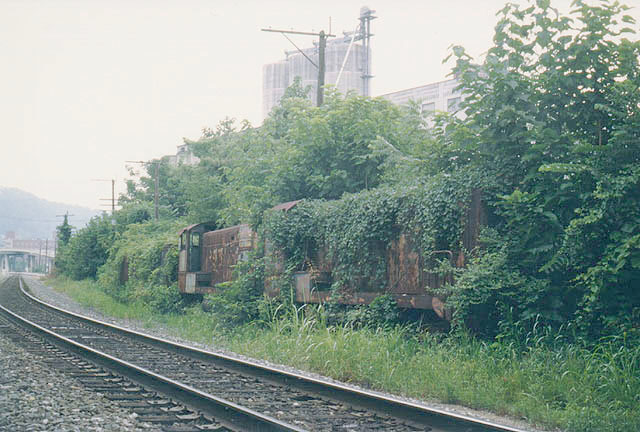 Like the N&W steamers in the scrapyard, they were heavily covered in vines when I first visited in 1997, but the overgrowth has been cut back in recent years. 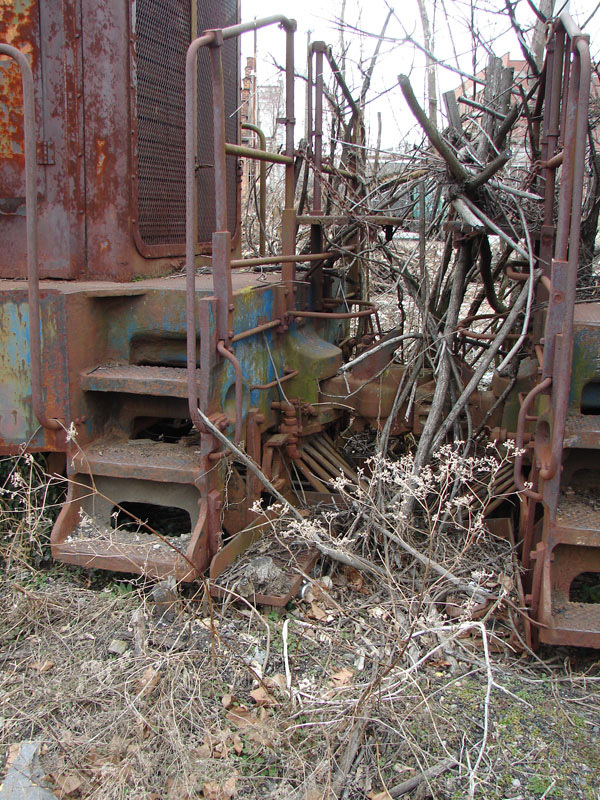 Being outside the fence, they are somewhat easier to see than the locomotives in the yard. 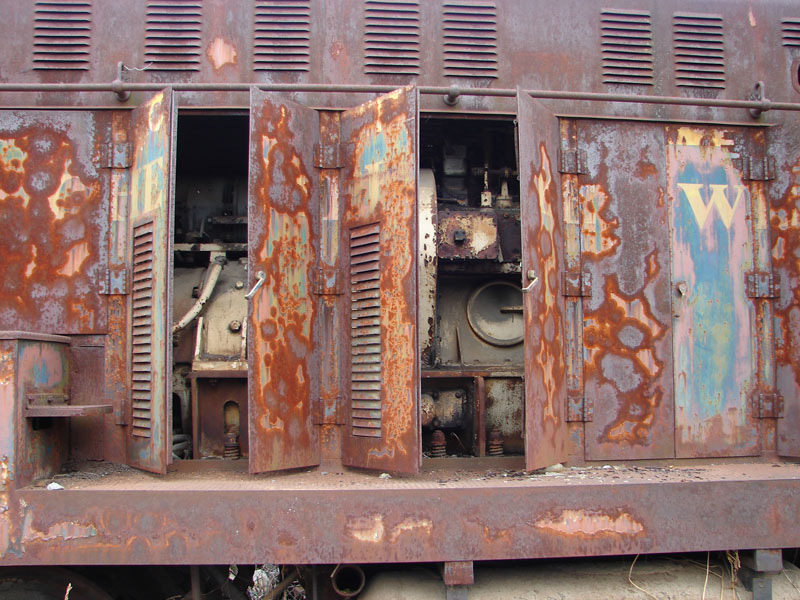 Their diesel engines and generators appear to be intact, although the cabs are pretty much stripped of controls and gauges. 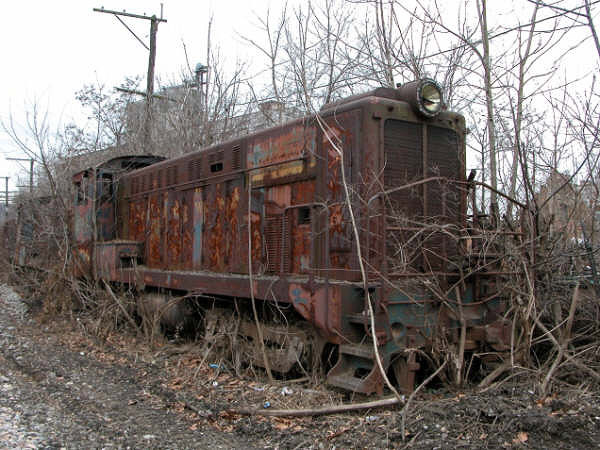 I'm not sure what kind of condition the main engines, generators, or traction motors are in. 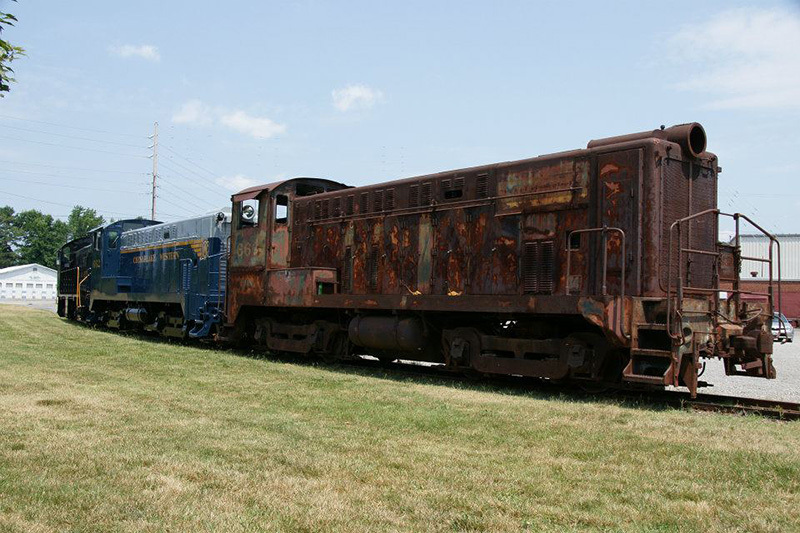 Although covered in surface rust, the metal seems to be in reasonably good shape, and these engines could probably be cosmetically restored quite easily. 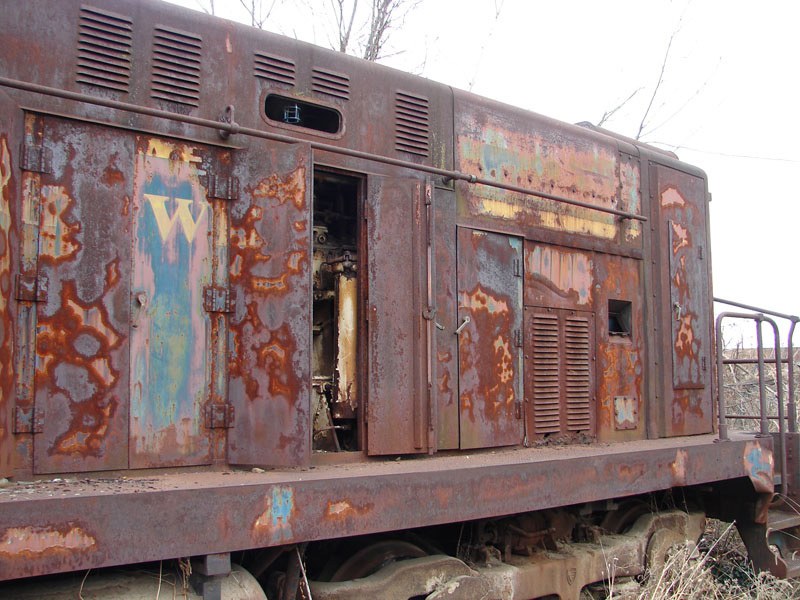 There is an interesting article about the dieselization of the Chesapeake Western on the Baldwin Diesel Zone website. Front pilot of 662 and rear pilot of 663. The slatted pilots are a nice traditional touch on these engines. 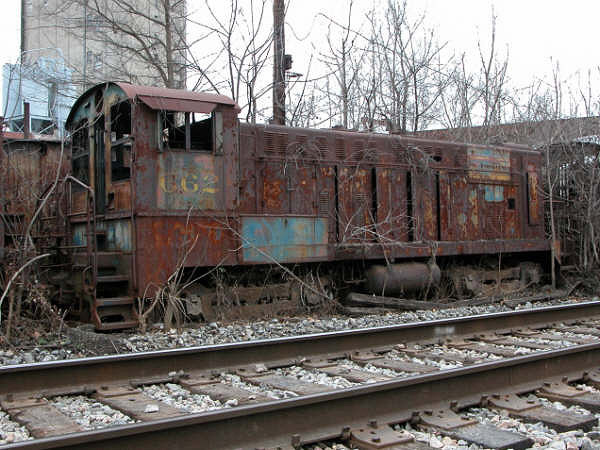 The Baldwin diesel switchers are former Chesapeake Western DS-4-4-660's. 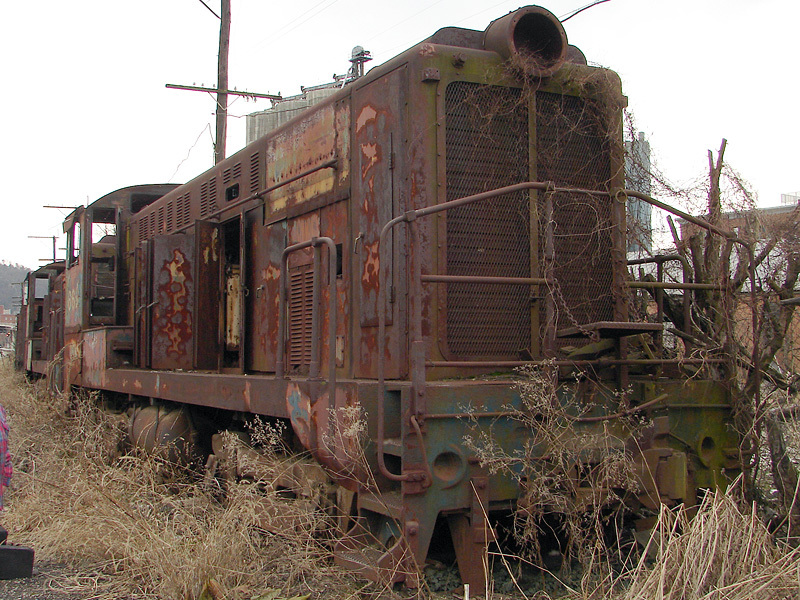 These two old diesel switchers share the fate of the steamers they once replaced.